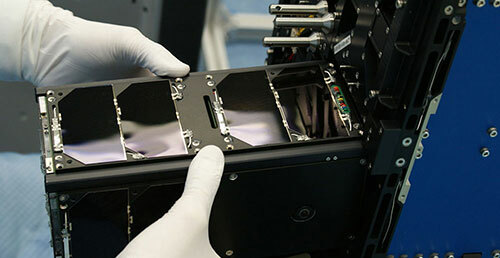 Innovative Solutions In Space was founded in 2006 and it is one of the leading companies in the small satellite market. 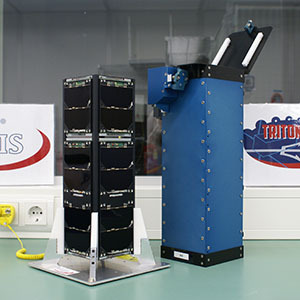 ISIS – Innovative Solutions In Space is one of the leading companies in the small satellite market. Founded in 2006, ISIS operates globally and serves customers worldwide in accomplishing their space missions and applications. ISIS specializes in realizing innovative turn-key small satellite missions including launch and operations for in-orbit delivery. 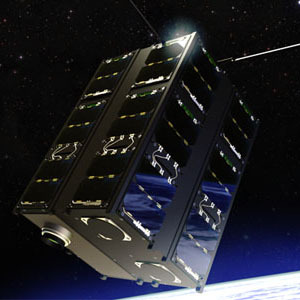 ISIS designs and delivers small satellite platforms, for single missions and constellations, either standardized or optimized in performance and size tailored to the mission needs. Through ISL, its launch services subsidiary, ISIS launches all sizes of small satellites. In addition to that, the company supports space capability building through training programs, knowledge transfer as well as component sales. ISIS can offer the right solution for every customer, from subsystem to full mission and constellation building, through its unique and proven approach of full vertical integration which combines design, development, production, testing, launch services, and satellite operations into a single organization. Currently, ISIS employs over 90 specialist employees from 25 different nationalities. 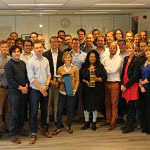 Our main offices are in The Netherlands, while we also have an office in South Africa. At the core of our companies lies a systems approach to space engineering, founded in a solid background in space systems engineering practices. Our space systems engineering approach is used across all our activities and is even offered to our customers as part of training. ISIS’ team is consists of both generalists and specialists from all relevant space engineering disciplines. We believe that such a multidisciplinary team is essential for providing turnkey solutions to our customers. ISIS started out in 2006 to provide turn-key small satellite solutions and this is still at the heart of the company. 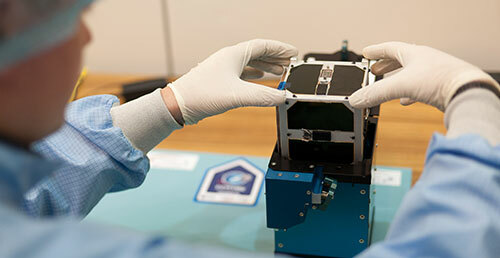 We support customers in all the phases of a satellite mission from defining objectives and mission design to satellite manufacturing and satellite launch and operations. Systems miniaturization and design for small form factor and low power consumption have been a key innovation driver in space for years. In ISIS' field of nanosatellites this is even more important and as a result, ISIS has a wealth of knowledge and experience on this topic. 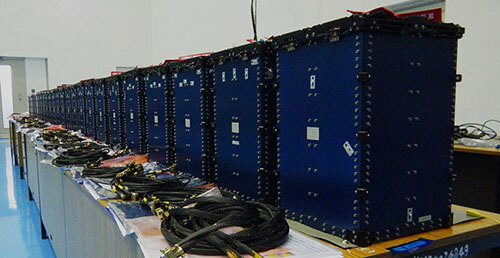 Mechanisms, deployables structures, and release systems have become something of a specialty within our company over the past years and we build hundreds of such systems for satellites and launch interface hardware every year. 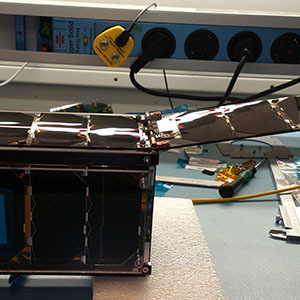 It is our mission to provide cost-effective space systems and turn-key missions by using nanosatellites and small microsatellites. 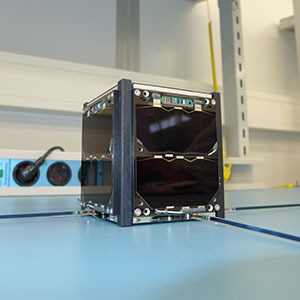 ISIS aims to establish itself as the leading industrial player in this field with a de-facto nanosatellite factory to serve the growing needs for rapid turnaround, cost-effective solutions. We foresee the space sector to move towards the next phase of industrialization in the coming decade, from a pioneering stage into a mature market where building, designing, operating space infrastructure, and providing space-enabled services is an integral part of the world's high-tech and data centric industry. ISIS is committed to innovation and will continue to challenge any status quo in the space sector. We believe that providing open communication and a team that is pro-active and empowered are essential to our success. We are committed to excellence in our technical products and in serving our customers.